dBD attends SafeStart 2016 and more! What's been going on at dBD Communications? Read below to see what's happened in our latest newsletter! Safestart 2016 took place on the 20-22 January and we sent a team of two core staff to man the show and ensure it ran smoothly. We'd like to take this opportunity to thank Carillion and James Steele for hosting us this year, the organisation of the event really was spot on and ran very well. Of course, free coffee throughout the day is always welcomed! 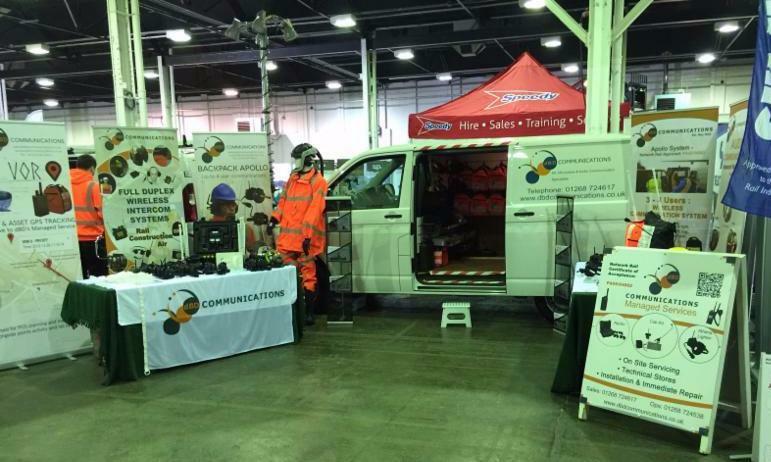 SafeStart was an event that suited us from a Health and Safety perspective throughout, communications on the rail lines is key to avoiding unnecessary accidents that happen often. 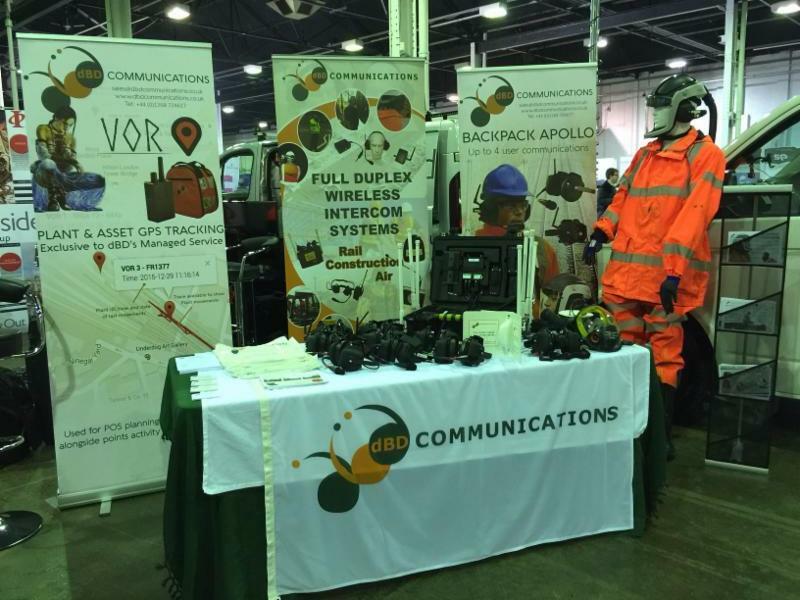 Our stand positioning could not have been any better on the day, we were situated at the opening of the main exhibition entrance, which gave us a good chance to display our kit with new additions such as the Backpack housed Apollo system and our latest VOR GPS tracking system. 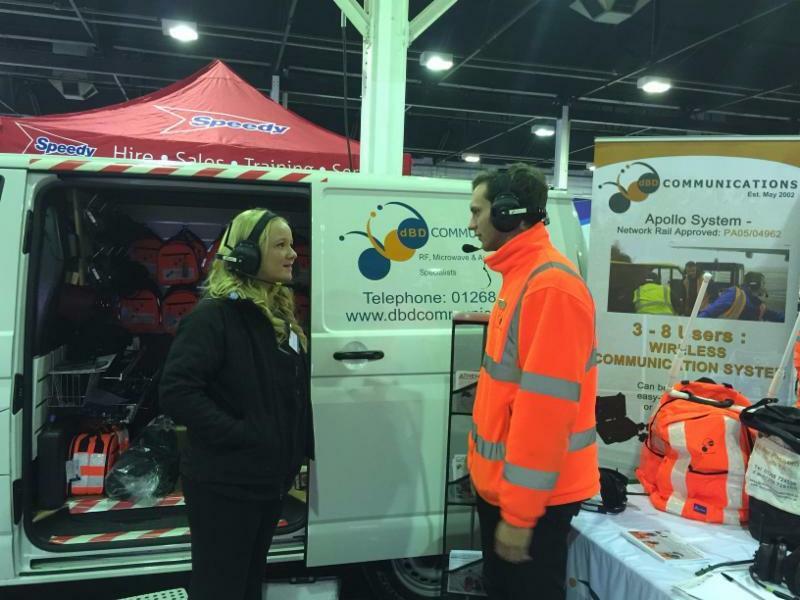 Our Managed service transporter van was also present on the stand, demonstrating our self-contained communications management system that controls the use of communications on site, ensuring that all kit is maintained, charged, serviceable and spare parts are also available within the van for multiple situations. These products and services were all developed from customer feedback, so we've put together a full package that solves the issue of communications on site that is widely found across blockades and possessions across the UK. 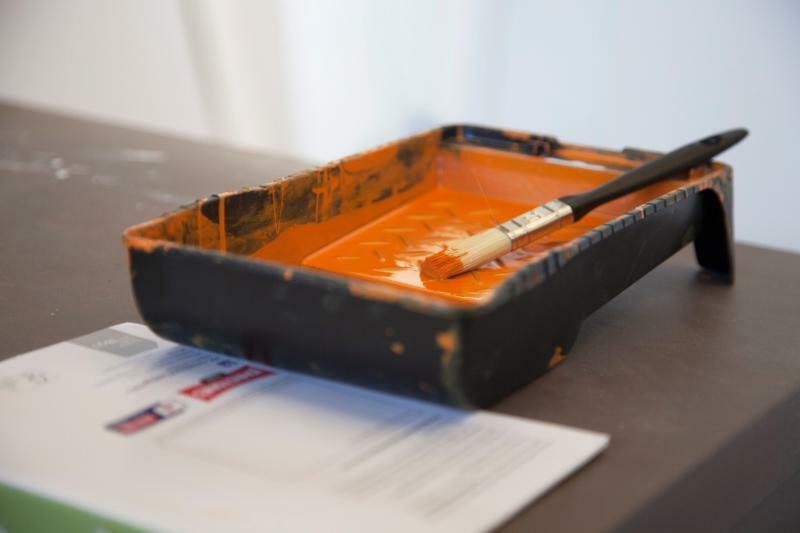 Safestart was a very successful networking event and we feel that everybody involved benefitted from the day, our particular focus was the introduction of Managed service to customers as this was not widely known across the whole of the UK. Many of our customers did not realise that we also rent systems on a weekly, monthly or yearly basis! We tailor this to your specific needs so don't hesitate to give us a call or email to discuss your requirements! 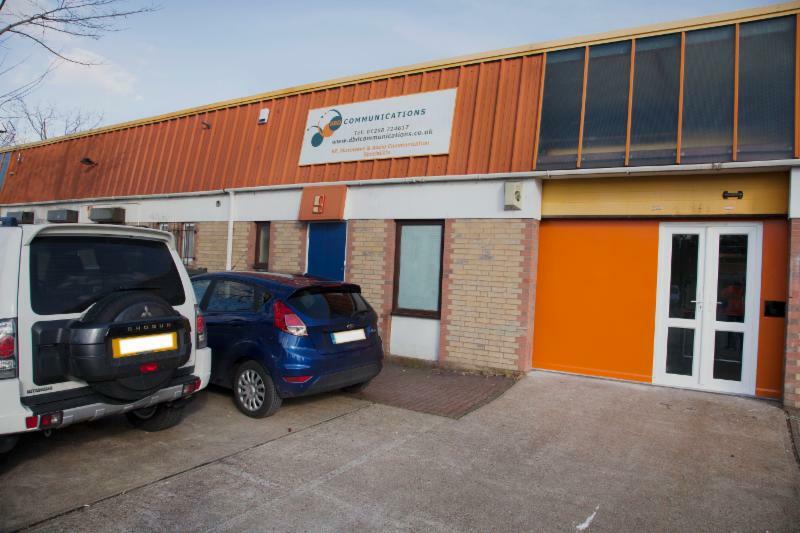 lete the refurbishment of the unit ready for logistics to make the move over very shortly. 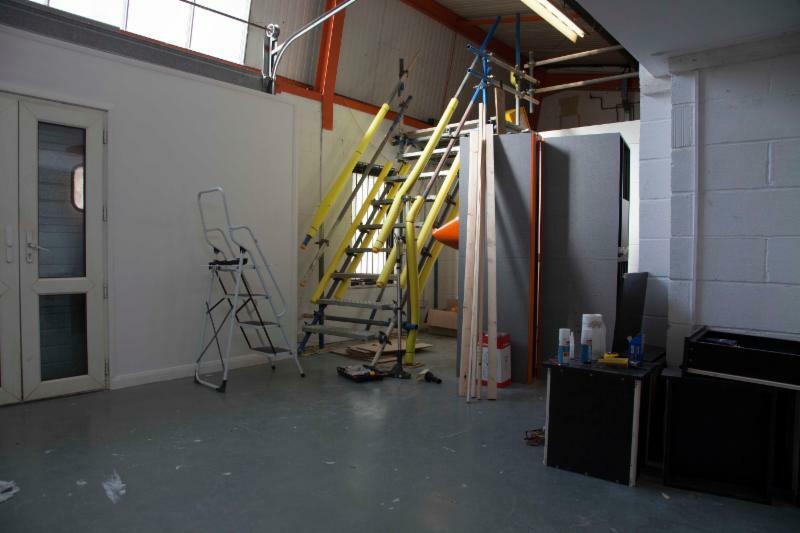 The work completed within the building has been extensive, from new flooring to re-decorating the entire space. This is our second move in 8 months, as the dBD Communications team grows larger we find the need to expand once again. 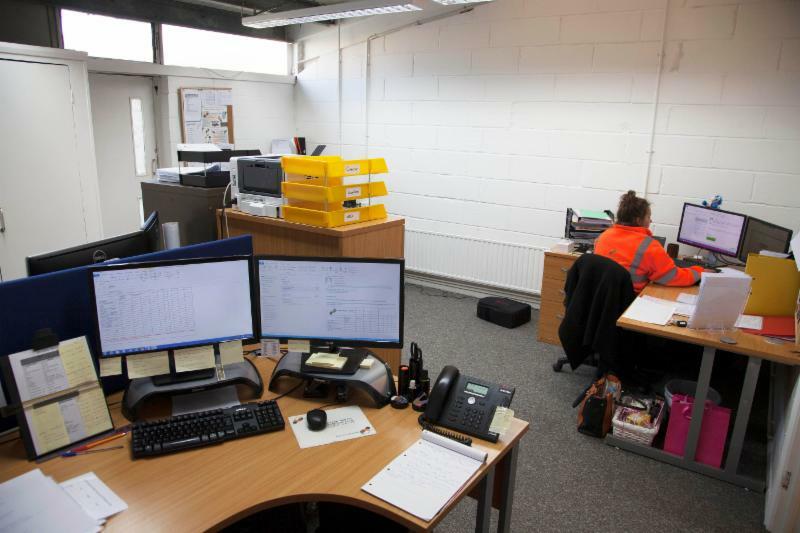 The combination of the sales team and logistics not only boosts productivity but it will ensure smooth delivery of our goods, providing a key link between customer requirements and what we can provide. We celebrate the opening of our latest site with Stephen Metcalfe MP and our guests from our dedicated market sectors on the 18th March 2016. This day will feature key demonstrations of our latest products alongside key discussions on howto utilise our products in the most effective ways. For any requirements or info requests, then please get in touch by replying to this email and we will response ASAP.